It’s that time again, where I spend about 2.5 weeks in an almost permanent choked up status. Why do the Olympics do this to me?Knowing that these athletes have worked so hard for so long just for this opportunity to compete on the world’s stage, chokes me up. Seeing the passion in their eyes and the effort in their bodies as they push themselves to be the best, that chokes me up too. The back stories about the athletes’ home towns and supportive families, that chokes me up, especially when you see family in the stands cheering their hearts out. I’m tearing up just thinking about it! The Procter & Gamble Olympic “Thank You Mom” commercial campaign? Choke up. 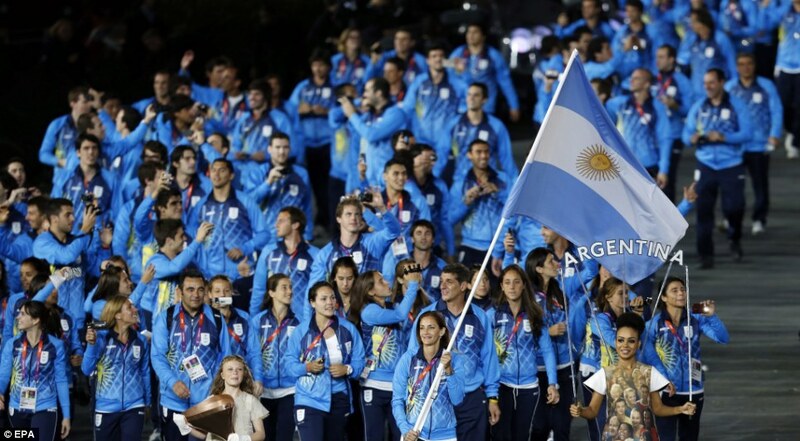 During the opening ceremony, I loved seeing all the countries represented, especially the teams that wore ethnic garb rather than track suits (I’m looking at you Argentina – c’mon!) because it helped me imagine what their country might be like to visit. But then I thought about the pride of those citizens back home in being able to send a handful of their best athletes to London, and I got choked up. Seeing the cheering fans along the road and all the Londoners showing off their beautiful city, chokes me up. I think of my little sister living in London and how cool it is that she gets to experience all of this and I choke up. Do I have any favorite events? Not really. I’ll watch whatever is on. I also like the summer games and winter games equally. I almost always cheer for the underdog. Why does the Olympics stir such an emotional response from me? Not sure. I think it is something about working so hard for this one chance that I find so inspiring and moving. I guess we all need a way to vent our emotions. Maybe some people have romantic dramas, some people have their menstruation cycles, but I have the Olympics. And I love every minute of it. Now I’m off to watch Women’s Gymnastics. What are your favorite parts of the Olympics? The post The Olympics chokes me up appeared first on Casual Bags & Cute Bike Accessories for Healthy Lifestyles | Po Campo.